Los Baños, get ready for Midnight Jam 2017! A night of poetry, music, and art – Midnight Jam has always lightened up the UP Los Banos crowd for six years now. Midnight Jam is hosted by The Rhetoricians: The UPLB Speech Communication Organization. It features songs and poetry pieces written by the members of the organization. This year, the performances by the members revolve around the themes: Social Activism and Women Empowerment. Through these performances, The Rhetoricians aims to raise awareness to the community of the issues that we face in our society today. Midnight Jam is also an open mic night wherein the audience and partner organizations take the stage to share their talents with the Los Banos community. 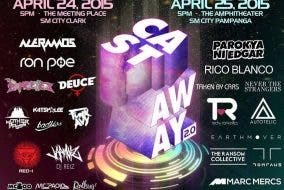 Midnight Jam 2017 will be held at 77 Events Place, Lopez Ave. Los Banos, Laguna on April 27, 2017, and is in partnership with WheninManila.com, Red Pill Productions, and Tanduay. For open mic and other inquiries, you may contact Rya at 09175060902.